Multiple studies about the words that sell in social media and blogs got me to wondering if there is anything different about what works online versus what works offline. 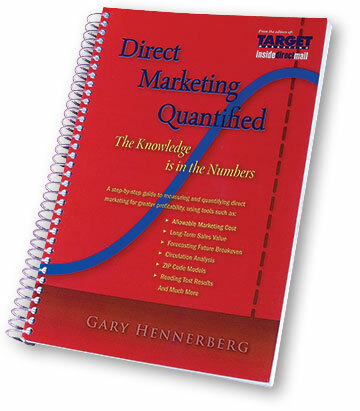 This is the topic in my blog Reinventing Direct at Target Marketing magazine. In it, I contrast 38 Marketing Words that Sell in Social Media with my experience as a direct marketer. If you’re relatively new to direct response, you might have some “aha” moments as your read the list. If you’re an experienced direct marketer, chances are you’ll see a lot of familiar words, phrases, and approaches. Two headlines tested in Twitter, both leading to the same blog post, and each tweeted to the same audience within an hour of each other was tested. a. How many hours should we work every day? The science of mental strength. b. The origin of the 8 hour work day and why we should rethink it. If you answered that “b” had the highest clicks, you’re right. It had double the number of clicks. I didn’t find this as a surprise. A specific number was used in version “b” (8 hour work day) combined with a provocative statement (why we should rethink it). Version “a” asked a question (not always the strongest way to write a headline) and used big words (science of mental strength). a Facebook post with a photo will get 53% more likes, 104% more comments, and 84% more click-throughs. In addition, posts with 80 characters or less get 66% more engagement. My personal experience with a Facebook page that I administer for an organization agrees completely. Here are examples of words appearing in blog titles that yielded high opens. Negative words are more powerful for shares than an ordinary word, like No / Without / Stop. This is confirmation for direct marketers that negative works. Big numbers work better than smaller numbers. And despite what your grammar teacher told you, use digits rather than words. And place the number at the head of the sentence. No surprise here (there’s a reason my Target Marketing blog is titled 38 Marketing Words that Sell). A couple of comparisons that seem to not make a difference: “I” versus “you.” Nor does “how to” have an effect on how viral a post will be. For marketers of all types, these are words that are important to your success. And while I’d observe these findings shouldn’t surprise an experienced direct marketer or direct mail copywriter, it’s good to see that there are certain words you can count on to increase response whether used online or offline.